We understand that no matter what a project entails each one has its own unique requirements. 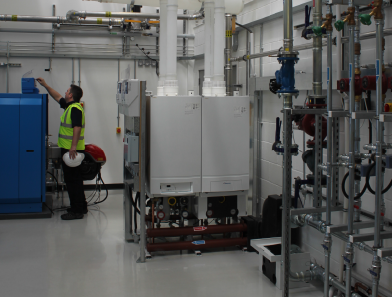 We provide commercial plumbing and heating services such as installations and regular maintenance to a range of customers. Our trained, experienced and fully qualified plumbing and heating engineers provide an exceptionally high level of expertise while our customer care team can ensure your requirement is dealt with efficiently and effectively. Either large or small, from the initial site visit to the final sign off we will ensure that every aspect of your project is dealt with in the most professional and innovative way possible. 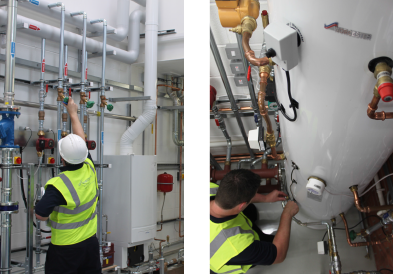 Our dedicated team has years of experience in the fields of designing and installing complete hot and Cold water boosting, Intelligent heating systems, Ventilation systems, Air handling throughout Basingstoke and the surrounding areas. Please take a tour of our site that will give you a better understanding of the quality of our services and the experience we have to offer. For more information on our Commercial Installation services please contact us for a no obligation estimate. 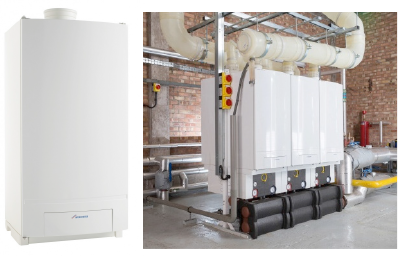 We offer a range of easy to install, simple to fit light commercial and commercial products, from our GB162 wall hung boilers to continuous flow water heaters and heat interface units (HIU). This boiler has outputs of 50, 65, 80 and 100kW, with the ability to cascade up to 800kW as part of a multi-boiler 'cascade' system.